The recent mailing from the Peoria PlayHouse Children's Museum Commitee illustrates it difficult to get the wealthy to part with their money. First published in the Peoria Journal Star on 10/08/04, this project has still only raised 30% of their goal. Evidently, there have been some cancellations of pledges, shades of all the cancelled pledges to the Peoria Riverfront Museum. On 3/1/2010, JS reporter Catharine Schaidle reported, "About 45% of the goal has been reached, and it's all been done by volunteers, no paid staff, except for one part-time officer." She was quoting Emily Cahill, the campaign's administrative manager, and Julie Balkema, Junior League President.. So today, the fund is 70% short of their original goal of $5.25 million, not 55% as previously been publicized. Of course, it could be that the situation is similar to the PRM where over $11 1/2 million had been spent before a shovel of dirt was turned. Also interesting would be to know whether Cilco paid their $500.,000 in cash that they pledged before being taken over by Ameren..
Or whether the unions pledge of nearly $500,000 to the PRM was paid in cash and when. This pledge was made on the musuem folks pledge to use all union labor. Shortly after this announcement appeared in the JS, the cost of the project went up almost $10 million. The biggest problem the wealthy elite have is raising the money once they decide what is best for the rest of us. Good example is Former Peoria Mayor Dave Ransburg quote in the JS that he would raise not only the $10 million short to fund the new museum but that he would raise even more. If, and that's a big if, Ransburg raised the money, there was no publicity. Just some mentions of trying to get the $5 million Governor Quinn promised from an approaching bankrupt state. You may recall, if you read my factual blogs on the PRM that funding was to be 2/3 from donations and 1/3 from taxpayers. To my knowledge, it turned out to be the reverse. Almost all reasonably well thought projects have value. Unfortunately, those doing the shoving, are unrealistic about the communities willingness to support all of them. Then there is the Peoria Journal Star Editorial Boards (JSEB) that has seldom seen a project presented that they didn't like. Good luck is what I say quoting Don Axt who tongue-in-cheek suggested that one day the World Series of Baseball would be held in Peoria. I'm still waiting for his comments. Today's email from the RTW Committee is attached, a group I gladly financially support. One year ago, Teamster union chief Jimmy Hoffa launched an "army" with one goal: Re-elect President Barack Obama. Just take a quick look at the Obama Administration's payoffs and sweetheart deals for Big Labor, and it's easy to see why. Stacking key agencies with union lawyers and operatives. Persecuting Boeing for creating jobs in Right to Work South Carolina. Sneaking secret forced-unionism provisions into Obamacare. The Obama Administration has delivered one blow after another against worker freedom. Hoffa's biggest fear is a one-page bill that simply eliminates the government-granted forced-dues powers embedded in federal law. What he fears is freedom. He fears that letting workers choose for themselves would devastate the engine that drives the union bosses' Billion Dollar political machine. It's no wonder why Hoffa and the other union kingpins are so desperate to re-elect Barack Obama and take over Congress and state legislatures across the country. "We are ready to march," Hoffa promised a year ago -- and the union political operatives are living up to it. It's up to concerned citizens like you and me to fight back. That's why we've sent our Candidate Survey to every candidate to pledge their opposition to Big Labor's forced-dues agenda. Your candidates' answers to the survey questions will let you and me know exactly where they stand on Big Labor's schemes. And then, your National Right to Work Committee will -- with paid advertisements, the internet and mass mail -- show Americans who is for and who is against the union bosses' forced-unionism agenda. But we can't do it without your continued support. With everything that's at stake this year, it's never been more important you and I FIGHT back harder than ever. P.S. The National Right to Work Committee relies on your voluntary contributions to fund its programs. Please chip in with a contribution of $10 or more today. Not produced or e-mailed at taxpayer expense. To help the National Right to Work Committee grow, please forward this to a friend. To view as a web page, please click this link: view online. 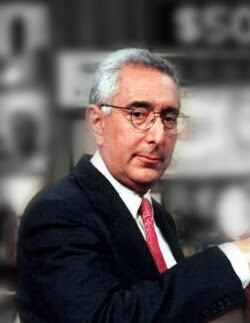 Quote from Ben Stein and echoed hopefully by all Democrats and Independents. "Fathom the hypocrisy of a government that requires every citizen to prove they are insured... but not everyone must prove they are a citizen." "Many of those who refuse, or are unable, to prove they are citizens will receive free insurance paid for by those who are forced to buy insurance because they are citizens." So say the "pinkos" at the Wall Street Journal. Pinkos is the name the Journal Star Editorial Board (JSEB) called the most truthful and best paper I've enjoyed reading for 45 years. On Obama's interview with left leaning "60 Minutes" Sunday, the WSJ editors listed 10 footnotes to a statement Obama made to his interviewer, Steve Croft. Obama said: "When I came into office, I inherited the biggest deficit in history.. And over the last four years, the deficit has gone up, but 90% of that is as a consequence of two wars that weren't paid for, a prescription drug plan that was not paid for, and then the worst economic crisis since the Great Depression. Now we took some emergency actions, but that accounts for about 10% of this increase in the deficit, and we have actually seen the federal government grow at a slower pace than at any time since Eisenhower, in fact, substantially lower than the federal government grew under either Ronald Reagan of George Bush." 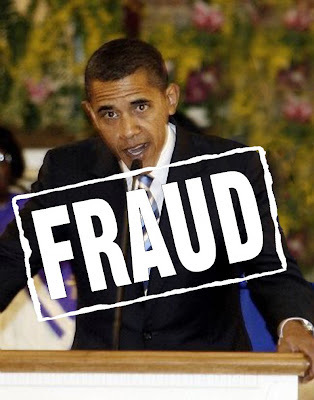 I won't list all the ten footnotes but every one of them shows how Obama lies or exaggerates the truth. No, he didn't inherit the largest deficit. The largest annual deficit was in 1943, 1944 and 1945. He demagogues Romney and Ryan proposals to modernize the entitlement state, and he personally blew up the "grand bargain" House Speaker Boehner was willing to strike last summer. Read the whole WSJ editorial. One part of the interview that 60 Minutes chose not to broadcast was where Obama conceded that " Do we see sometimes us going overboard in our campaign, mistakes that are made, areas where there's no doubt that somebody could dispute how we are presenting things, that happens in politics." 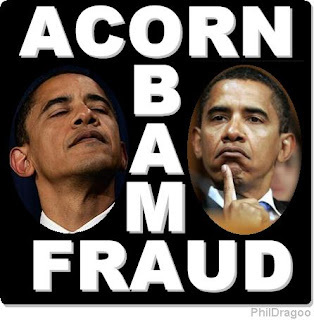 Obama is running a dishonest campaign and his ardent followers are like lemmings. He is dishonest as so many Illinois politicians are; some are in jail and others should be. This charismatic lair should not be given a second term..He was off campaigning while our Libyan Ambassador was being dragged through the streets. USDOE has secretly dropped charges against Pakistan for selling U.S. weapons to the Taliban. Rumor has it that the #3 person at the DOE has Taliban connections. Can this be? Are we to have our highest leaders reenact Chamberlain and appease our enemies whose undying aim is to destroy this nation? Why is the "shining beacon on the hill" fading and will we let this light continue to die? While theObama and Democrat politicians and the liberal press leads the voter into mindless games of income taxes, continue to mislead us as to who the poor really are, those qualified but can't find jobs, about who all Republicans and all other parties should be concerned. Rather than exposing Obama and Democrats attempts to make everybody feel good about the sorry direction this country is really heading? Don't look now, but Islam is becoming the MSM's official religion of America. Now, it's not just that no one bats an eye at the amazing truth that the United States is beaming TV ads all over Pakistan apologizing for a derogatory Internet trailer for a nonexistent movie demeaning the being that Muslims call "The Prophet Mohammed." No one in the MSM even slightly hints that doing the kowtow in the same country that sheltered Osama bin Laden to a group that reveled in, delighted in the terrorism against American civilians and still provides the framework for the terrorist Haqqani network, might be humiliating and an insult to the memory of the great Americans who were murdered just last week in Libya. No, we just take it in stride that our President and our Secretary of State will apologize to the people who hate us and want us dead. That's not what I am referring to. I am referring to something worse: Have you noticed that in the past few years, and especially in the past few weeks since the murder of the Ambassador and his guards and colleague in Benghazi (a city that Erwin Rommel loved and whose inhabitants he praised), whenever the New York Times refers to Mohammed, they always call him, without quotation marks, The Prophet Mohammed. As if everyone with any sense understands that OF COURSE Mohammed is The One True Prophet and that it's just understood that Mohammed is The Prophet. I see this in other news outlets and on TV, too. Sober-looking newsmen and newswomen mention Mohammed as The Prophet Mohammed. No ifs, ands or buts. I hear it on the BBC World Service, too. Now, if Muslims want to believe that Mohammed is The Prophet, God bless them. Fine and dandy. If anyone wants to believe that, good luck to him or her. But why does our mainstream media here in the USA, an overwhelmingly Christian country, refer to Islam's prophet as "The Prophet"? Have you ever seen any major newspaper here in the USA refer to Jesus Christ as "The Son of God, God Incarnate, The Lord Jesus Christ"? Can you imagine the New York Times running a story about a crucifix resting in urine at an "art gallery" as an offense against "The Lord Jesus, Son of God"? Can you imagine any large newspaper in this country running a story about the Pope and referring to him as "The Holy Father, The Bridge Between Heaven and Earth"? Or about Mary, as "Holy Mary, Mother of God"? It would never happen. But somehow, probably because the people writing the articles and editing them or the producers on TV news shows fear being beheaded -- and who doesn't? -- we have adopted in our media the Muslim assertion that Mohammed is The Prophet while giving other religious figures the back of our media hand. This is frightening. We are not supposed to be doing obeisance to a religious group that has many adherents who want us dead. We are not, as journalists, supposed to be labeling anyone as "The" Prophet. But somehow, it's happening. The MSM has become a voice for Islam. Hitler saw it long ago. Terror and fear of violence can bring about amazing changes in people's behavior. 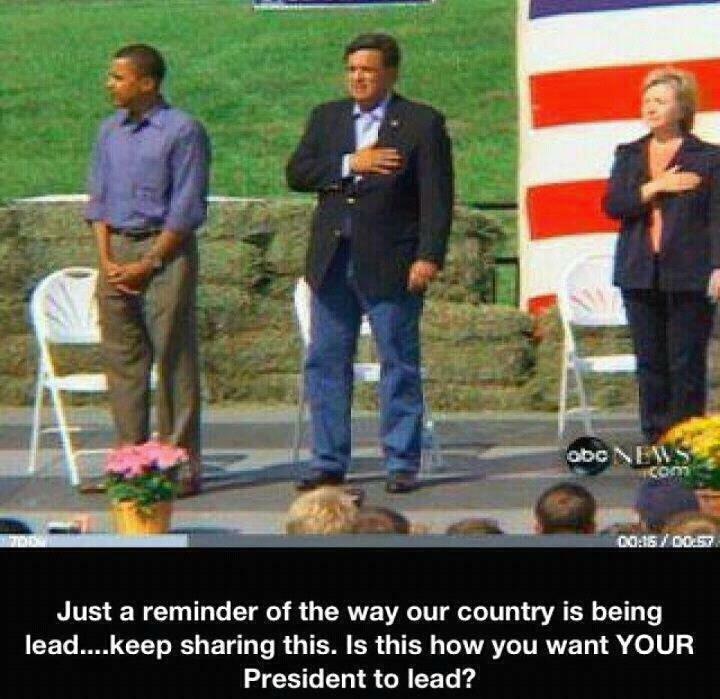 So can a misguided political correctness and self-loathing for the greatest nation on earth. I overheard a conversation between two women at a dining table just yesterday. 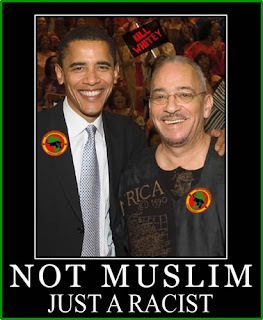 One said, "I don't care what anyone says, Obama is a Muslim" (she has said it before) and the other said, "He's not a Muslim. He's just stupid." I didn't say anything to them. I am just telling you, these do not feel like normal days. They feel like latter days. There is just a feeling in the air, a look in the sky at dusk, a look on people's faces. Fear is everywhere. Mr. Obama cannot lose this election unless enough people believe it's within their power to stop the ticking of the clock, and I do not feel that groundswell. Not at all. When the American media turns its back on our own religions of tolerance and adores a religion of intolerance, times are upside down. 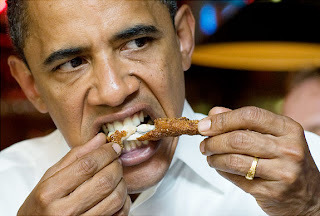 The MSM says it's all fine, trust The Prince of Grant Park, Chicago. But I have always preferred the admonition, "Put not your trust in princes." Something is wrong. I had just finished reading "In the Garden of Beasts" when I came across "Something is Wrong", by well known Ben Stein of the American Spectator. Larson, well known for his two widely read novels,. writes this book as a nonfiction. Das Vorspiel is the heading of the introduction by Larson as he details Germany 1933-37 and I can not help but note some of the similarities that exit in the United States of America today and the appeasement efforts of our current administration. 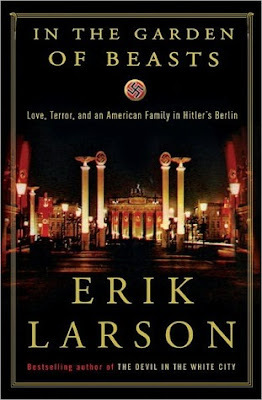 America exists in a world of hurry and events that can shape the world as the events in the four years in Germany leading up to WWII in this must read nonfiction. If anyone believes we are living in a "world of normal days", I suspect they read more non-fiction, reflect on how Romney out shown Obama on "Sixty Minutes" last night. Despite the liberal endless attempts to bait Romney into apologizing for his mostly harmless gaffes, while showing Obama in a more favorable position, spend less time playing Fantasy Football, (your heads may be kicked around like footballs in upcoming years) watch less sitcoms, and decipher what the liberal press is really saying. This country is heading for a world of big-time trouble, especially for our younger people who believe in flowery feel-good words and and unkept promises and apologies to our enemies leaving common sense thinking people and our friends, confused. Today's JSEB (Journal Star Editorial Board) page today has it correct even though the column is a reprint from the Sept. 15 Chicago Sun-Times. 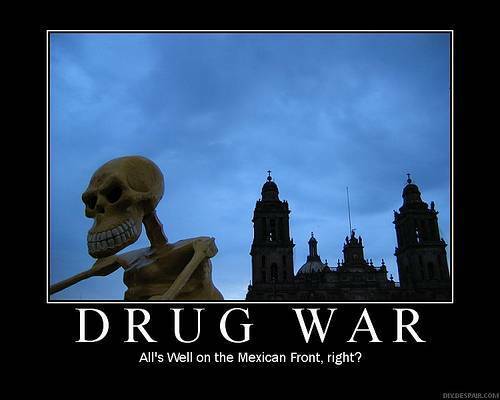 I have also called for a national debate on the drug proliferation problem in this country and how it is also affecting the lives of the people of Mexico who are being killed yearly by the thousands. The article quotes U.S. Court of Appeals Judge Richard Posner, one of our nation's most distinguished judges, calling it absurd to criminalize the sale or use of marijuana and questioned whether the use of cocaine is all that dangerous. "Personally, I don't think we should have a fraction of the drug laws that we have" he told Elmhurst College students. The JSEB sums it up as saying, "If Posner were a politician, he couldn't get elected dogcatcher saying stuff like that. Which, the JSEB says, "is entirely the problem." There is a group active on the Bradley Campus attempting the to influence the Bradley administration to change their rules on the use of marijuana.. However, with the 'stuffed shirts' on the Bradley Board, I doubt if they are making much progress. I have not heard from them recently but perhaps it is too close to the new semester and the upcoming elections including those on campus. The ridiculousness of our entire drug eradication failure will come to the attention of most of the general public sooner or later. Just like the big drug bust recently reported and the killing of Usama bin Laden; dozens, if not thousands are ready to take their place. Have you seen less violence in the world now that Usama bin Laden has been dead 6 months????. Journal Star Calls WSJ Editors and Columnists, "pinkos"
Thursday, the JSEB (Journal Star Editorial Board) wrote a column not favorable to Romney titled "Romney's Quandry and the Nation's". The editors wrote, "The local Romney apologists want this so desperately to be a case of liberal media bias against a conservative--it gets old--but it's really just a prejudice against political foolishness at the highest level. Don't believe this page. Believe THOSE RAVING PINKOS AT THE WALL STREET JOURNAL who so badly want Romney to win on Nov. 6, and who concluded in their editorial on Wednesday that if he can't get his act together soon, he'll lose, and he'll deserve to. Just 47 days left. Tick, tock." Pinkos, some of you may remember, and according to Webster's Dictionary, is a slang word for Communists. Not an appropriate word to use against the editors of the WSJ, especially when the WSJ printed excerpts from a leaked draft and printed the contents in full, stating "Maybe Rommney will deliver them some time before election day." The WSJ editors concluded their column by saying "Surely a man as smart as the former head of Bain Captital can give a better speech on taxes and dependency than he delivered at the (much publized) fundraiser. If he can't, he'll lose, and he'll deserve to." At no point in this editorial did the editors of the WSJ take a shot at the liberal press. I suggest, that since I'm retired, I have more time to watch news TV, listen to NPR and other liberal and codnservative stations, read more books including Romney's "No Apologies", a book all voters should read as it outlines the almost impossible task of re-establishing ourselfs as a country most foreigners would respect. Hard to put in one speech what he wrote in this book in 2010. And admittedly, he does not have the "silver" tongue of the incumbent. Here are some great titles you should check out. Easily found at most bookstores, or copy the title and author, paste them into the Google search box, Google it, and go to the Amazon page to order online. Recent speculation and posturing over the 2013 mayoral election has produced an outpouring of calls and messages of support in the past 48 hours. Peorians expressed their desire to continue the direction the council and I have established – a direction based on growing jobs and the economy, balanced budgets, stronger, safer neighborhoods, and holding the line on property taxes. 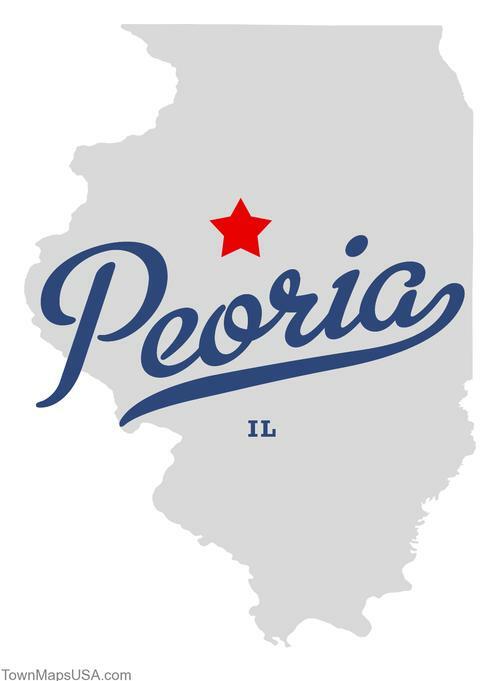 Therefore, this afternoon I announced my intention to run for re-election to keep Peoria on the right track and work with the council and public to make this city even better for the future. I plan a formal announcement after the November elections. Thanks to all those Peorians who reached out—I will continue to work hard to earn your support every day. Mr. President, by your own measure, you've failed to deliver the jobs Americans need. In fact, no president in modern history has ever asked to be re-elected with this many Americans out of work. Twenty-three million Americans are struggling for work, and more families wake up in poverty than ever before. It’s unacceptable. 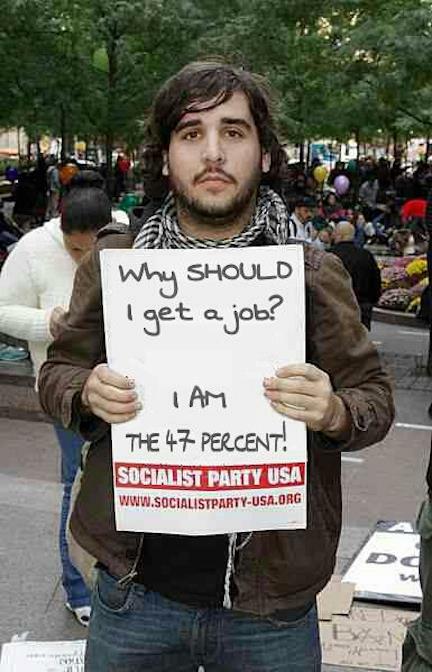 And now, America needs jobs -- not a litany of President Obama’s excuses, scapegoats, and alibis. To change direction, we need a president who will own up to the simple truth: Americans are not better off than they were four years ago. I am running for president to help create a better future for America. A future where everyone who wants a job can find one. Where no senior fears for the security of their retirement. Where every parent knows that their child will get an education that leads to a good job and a bright horizon. With your help, the Republican team, Paul Ryan, and I will deliver that brighter future. Our Plan for a Stronger Middle Class will create 12 million jobs, and ensure more take-home pay and better opportunities for all Americans. "Environment Protection Up In Smoke" wrote Terry L. Anderson, President of Property and Environment Research Center in Bozeman, Mont., and a senior fellow at Stanford University's Hoover Institution. Find the whole article in the 9/18/12 edition of the WSJ. I've written many blogs on this subject and Mr. Anderson pretty much sums up why the huge, costly in lives lost, property destroyed and the very trees these radicals pretend to preserve. "Dead wood and brush fuels wildfires. 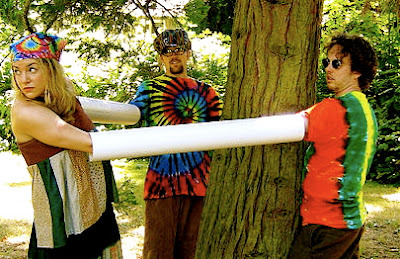 Too bad lawsuits keep the Forest Service from thinning out the trees. Removing the fuel reduces the likelihood of fires, and if fires do break out, makes them easier to fight. Meanwhile, the suppression of fires costs the federal government nearly $2.5 billion annually. A 2007 study by the federally funded Center For Atmospheric Research found that "large wildfires can pump as much carbon dioxide into the atmosphere in just a few weeks as do cars in these areas in an entire year." Amen, and sizeable bond should be in the millions of dollars to be forfeited if the fires burn while the lawsuit is in progress. 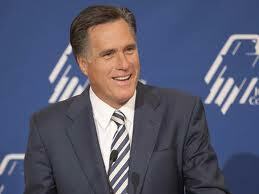 Of course, common sense people who search for facts, knew that Romney was right. He could have phrased it better as I've already blogged. From: The Heritage Foundation Newsletter. The leak of a video featuring former Governor Mitt Romney (R-MA) has sparked debate about government dependency and the number of people in the United States who do not pay federal income tax. In the video, Romney refers to “47 percent” of Americans and says that they are “dependent upon government” and “pay no income tax.” While these groups are not necessarily one in the same, there is overlap between the two, and the percentages on government dependency and non-tax-paying are very similar. It is true that nearly half of all tax filers—those who are filing an income form with the IRS—pay no federal income tax. It's also true that millions of Americans receive direct government support in a host of ways, including income, food, housing, medical care, school lunches, and more. It stands to reason that those who have skin in the game—who are helping to pay for all of the government programs—will be more concerned about reining in out-of-control government spending, because they see their taxes going up and the country’s credit rating going down. On the other hand, if you are on the receiving end of government benefits, that is likely to color your perception of how taxpayers’ money should be spent. According to the Heritage Foundation's 2012 Index of Dependence on Government, 63.7 million Americans, or about one in five, is receiving direct government support from Social Security, welfare, or Pell Grants—and that is at its highest level ever. These individuals are very likely to be receiving additional benefits from other government programs such as Medicare or Medicaid, food stamps, etc., and the total share of Americans receiving benefits is likely to be even higher when considering benefits available on everything from housing to school lunches. The Wall Street Journal found that in 2011, 49 percent of Americans lived in a household where at least one member of the family received a government benefit. Heritage has been publishing the Index of Dependence on Government for the past 10 years, and the Center for Data Analysis offered a preview yesterday of what next year’s report will look like, as it updates with the most recent data becoming available for 2011. 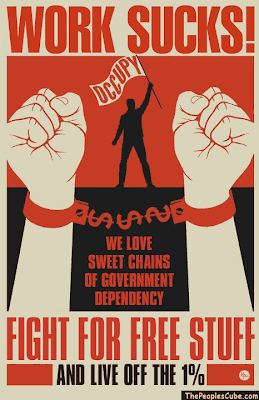 The outlook is grim: Government dependency is jumping for the fourth year in a row, and the Index has risen more than 31 percent in that time. This is bad news for three reasons. First, the economy is so weak that people are going to the government for help. This is a stark repudiation of President Obama's big-spending, "spread the wealth around" approach, because "giving everyone a shot" does not work unless the “shot” comes at the expense of the taxpayers. Second, the nation can’t afford to continue increasing spending on these programs, as President Obama has proposed in each of his budgets. Federal spending is exploding—and it is already an eye-popping reality that 70.5 percent of federal spending goes to dependency-creating programs. We are spending more on dependency-creating programs while an ever-shrinking number of taxpayers are paying for them. But third, and most importantly, it’s bad for Americans. The American Dream is about life, liberty, and the pursuit of happiness, through independence—not dependence on government. 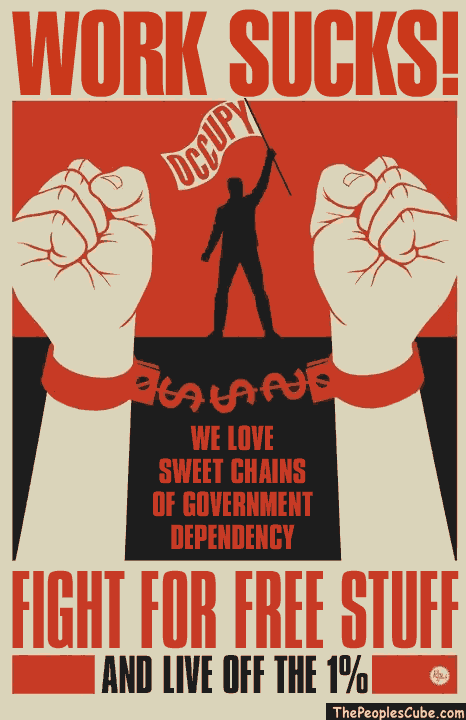 Government dependency erodes human dignity and civil society. These programs were originally designed to help those who fall on hard times and need a safety net. Public policy should head back in that direction. The welfare reform of 1996 helped lift recipients out of poverty and back into jobs by requiring, among other things, that they work. 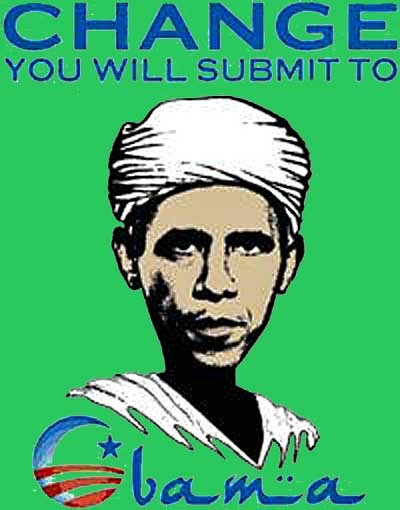 President Obama has undone that requirement. And there are dozens more anti-poverty programs that should be revamped to help those who are able toward self-sufficiency. At the same time, we must address the looming entitlements crisis: 78 million baby boomers are heading into retirement, and many of them will be entirely dependent on Social Security and Medicare for their income and health care. This dependency is a huge driver of future budget deficits. We cannot continue on a course of unlimited government spending when fewer and fewer taxpayers are paying for that spending. That is the financial fact. But we also cannot sustain the American Dream on this course—and that is a fact that is intensely personal for every American. According to a new report, after the Obama Administration suspended the work requirement that had been tied to food stamps, the number of able-bodied people on food stamps doubled. President Obama told late-night host David Letterman that we don’t have to worry about the debt and deficit “short term,” though they are “long-term” and “medium-term” problems. France is closing 20 of its embassies around the world after a French magazine published cartoons of the prophet Mohammed. A new Heritage study reveals that government employees work roughly one month less per year than private-sector workers. CTU And Teachers Should Be Elated!!!!! CHICAGO -- Chicago children returned to school on Wednesday after teachers ended a seven-day strike that disrupted the daily routines of thousands of families and made the city a flashpoint in the debate over union rights and efforts to overhaul the nation's public school system. Jayton Howard, a 16-year-old student on the South Side, summed up his feelings - and those of many others - in a word: "Great." Union delegates voted overwhelmingly Tuesday night to suspend the walkout after discussing a proposed contract settlement with those in charge of the nation's third-largest school district. They said the contract wasn't perfect, but that it included enough concessions on proposed new teacher evaluations, recall rights for laid-off teachers and classroom conditions to return to work pending a vote by its more than 26,000 teachers and support staffers in coming weeks. "They'll win from the strike," said Leslie Sabbs-Kizer, referring to her children as she walked them to a South Side elementary school. Her son, 8-year-old Nkai Melton, said he was psyched for another reason: "Going on the playground." For parent Erica Weiss, an end to the strike meant she wouldn't have to take her 6-year-old daughter to work. "I am elated. I couldn't be happier," said Weiss, who had to leave work in the middle of the day to pick up her daughter from one of the schools that stayed open and then bring her back to her finance job downtown. "I have no one else to watch her. ... I can't even imagine the people who could have possibly even lost their jobs over having to stay home with their kids because they have no alternate care. It just put everyone in a pickle." Wilonda Cannon, a single mother raising her four children in North Lawndale, a poor West Side neighborhood beset by gang shootings, said she was relieved that her two youngest were returning to class after spending the last seven weekdays with their grandfather. She said she hoped the agreement was the beginning of something new for Chicago's public school system, which has long struggled with high drop-out rates and low test scores. It will take months if not years before parents and teachers will see whether the changes and contract provisions pay off for students. "I don't know all the ins and outs (of the contract negotiations) ... but it does seem as though it's a step in the right direction," Cannon said. Mayor Rahm Emanuel - who filed a lawsuit this week to try to force teachers back to work - called the settlement "an honest compromise." With an average salary of $76,000, Chicago teachers are already among the highest-paid in the nation. The district's final proposal included an average 7 percent raise over three years, with additional raises for experience and education. Susan Hickey, a school social worker, said she is eager to learn how the students she counsels fared over the summer. "How are they? Are they OK?" she said. "I'm glad to be back for all kinds of reasons." Associated Press writer Jason Keyser contributed to this story. $957 Billion Farm Bill Stuck in the House? 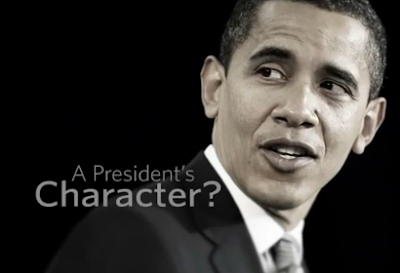 New film discovery show Obama talking about how he would equalize everyone way back years ago. If Obama, Reid , Pelosi and company are reelected you sill find Romney's recently discovered comments to be right on target. Or even higher. 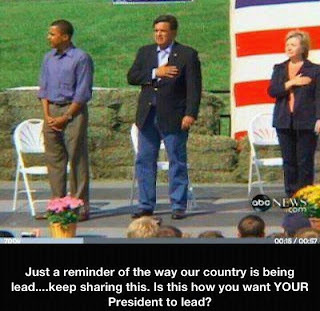 As the United States of America becomes more "politically correct" for fear of offending people who secretely hate us such as the radical terrorists of Islam and the liberal press, it is refreshing to have Romney 'tell it like it is" that as this country moves to Socialism., more and more people are dependent on ALL levels of government. While his figures may not be 100% they are better than the half-truths and the liberal press feed us on a daily basis. Take myself. If another person or two benefits from my SS or my union common sense friend, who has a wife living off his large (73,000 union pension) and his wife benefits off SS, whose grown kids benefit from living in these parent's home, those whose food stamps serve an additional variety of relatives and friends, need I go on. Romney need not apologize. He needs to hit on growth through more stability of our government, more entrepenuers like Bain Equity, less government regulation on all of us less freebies with no responsibility and use phrases similair to the one Regean used "There you go again". As a frriend once told me to "loosen up", I say, loosen up. Mitt and give them hell like Harry did. Bret closes by writing, "Obama came to office promising ( this was his promise number 211)that he would start a new conversation with the Muslim world, one that lectiured less and listened more". So, Barak, how are your classes going? I suggest you ask the dead you are RESPONSIBLE for, especially the four who died under YOUR protection in Libya. Recently, the Daily Caller published a story in which a liberal Super PAC made the case that, in order to be successful, the left should not discuss policy but instead attack the character of Republicans. “When we said that Steve King … is pro-life and believes in cutting Social Security and voted for the Ryan budget, no one cared. When we said Steve King’s a racist, Steve King believes that immigrants ought to be put in electric fences, people moved.”And with that, the truth was finally out. This disgusting approach to politics is what separates us from the left: they believe in smears, while we believe in ideas. They attack for the sake of partisanship, while we actually want to solve the country's problems. But Arnold makes one good point: attacks are effective. Fighting for ideas, by contrast, is a lot harder. Which is why it's so important that every conservative becomes a warrior the battle of ideas. By sharing stories, and making the case for conservative values on social media and blogs, we can overcome the ugliness of liberal politics and strike a blow for decency, sound policy, and American Greatness. Enough Printing Money, Let's Build A Real Economy Obama and Bernanke seem to think that printing money is a substitute for real economic growth. No wonder the "recovery" is stuck in neutral. 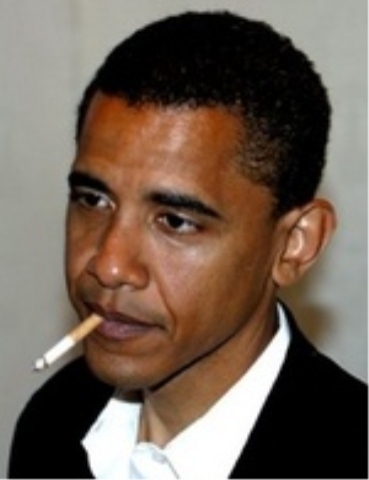 Obama: Blame Video For Embassy Attacks, Not Us With American embassies under attack across the Middle East, Obama's leadership is missing in action. But hey, at least he has an excuse for everything. Got A Couch? 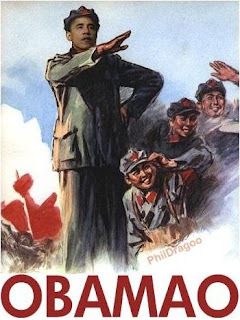 Obama Campaign Asks Supporters To House Volunteers Pretty soon Obama's campaign is going to just ask supporters to sign their houses over to the Glorious Leader's cause. For the second week in a row, the Chicago Teachers Union (CTU) is using students to gain leverage the bargaining table. CTU has decided to extend its strike until at least Wednesday. Rather than focusing on securing a deal and allowing students to return to class on Monday, CTU made it a priority to hold a major demonstration downtown on Saturday in an attempt to flex its muscle. Mayor Emanuel has finally had enough. He indicated today that he will use the courts to force teachers back into the classroom. As the Institute informed ABC-7's Chuck Goudie last week, the strike is illegal and Rahm has finally decided to enforce state law in an attempt to show CTU boss Karen Lewis who's really in charge in Chicago. Longer school day and longer school year were listed in the "negatives" column on the union's summary sheet. It is shocking that more time in the classroom is regarded as a negative by the Chicago Teachers Union. The CTU also listed as negative the fact that the lowest-performing teachers should be penalized. Chicago students deserve a world-class education that will propel them to success. The 1987 strike failed to produce real reform, subjecting an entire generation to a failing system that leaves 40 percent of kids without a high school diploma and sends only 33 percent to college. We cannot afford to repeat the same mistakes. It appears Mayor Rahm Emanuel and CPS have backed away from pursuing any serious school reform and the union is fighting to preserve the status quo. Most disappointing is that the Mayor has backed away from one of President Obama's own initiatives: merit pay to reward excellent teachers. This is a tragedy for students and parents. 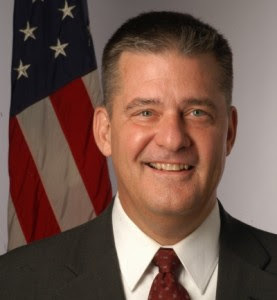 When it comes to finances, all Illinois taxpayers should be concerned about the details that emerged Sunday night regarding the possible contract from the CPS. In this proposal, Mayor Emanuel joined the ranks of other Illinois Democrats who spend money they simply do not have, ratchet up a pile of unpaid bills and then ultimately hand the bill over to maxed-out taxpayers. The deal rejected by the CTU includes 16 percent raises – which Chicago Public Schools cannot afford. Beyond the fact that Chicago teachers are overpaid when compared to teachers in other cities, by even maintaining current pay levels CPS would drain its reserves during the current school year and run $1 billion deficit the following year. To pay for these raises, taxpayers outside the city should not be surprised when a tax hike comes their way as CPS seeks more money from the state. Already, more than one-third of CPS money comes from state coffers. The CPS' refusal to cope with its fiscal reality is a failure to taxpayers. But worse, a marginal settlement that does not empower CPS to hold teachers accountable is a failure to today's students and the hundreds of thousands who will pass through the system in coming years. The only thing I would miss on NPR is a few common sense interviews and the stock market reports on the hour. This doesn't include Dept. of Energy, nor Dept. of Education that should be eliminated. List of Republican cuts. Clearly, Paul Ryan knows how to make the cuts necessary to get this country back on track. These are all the programs that the new Republican House has proposed cutting. Read to the end and pass it on to as many as you can. * Eliminate duplicating education programs -- H.R. 2274 (in last Congress), authored by Rep. McKeon, eliminates 68 at a savings of $1.3 billion annually. * Manufacturing Extension Partnership (MEP) Program -- $125 million annual savings. * Freedom CAR and Fuel Partnership -- $200 million annual savings. * Require collection of unpaid taxes by federal employees -- $1 billion total savings. WHAT THE HELL IS THIS ABOUT? 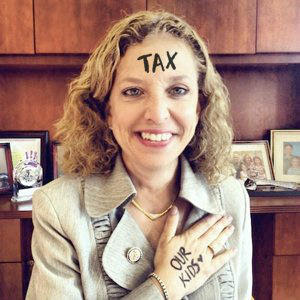 * Eliminate taxpayer subsidies to the United Nations Intergovernmental Panel on Climate Change -- $12.5 million annual savings.WELL ISN'T THAT "SPECIAL"? * Eliminate Market Access Program -- $200 million annual savings. > * USDA Sugar Program -- $14 million annual savings. * Ready to Learn TV Program -- $27 million savings..WHY DOES THIS EVEN EXIST????? My question is, what is all this doing in the budget in the first place? Please send to everyone you know. Posted from another site but true as I read several books abou t his history. 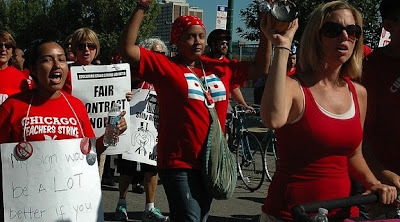 Do I support the CTU (Chicago Teachers Union)? Not on my life. One possible good thing is that they have put the Democrat mayor between a "rock and a hard spot". 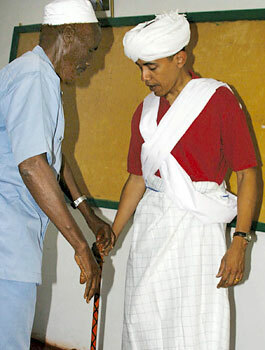 If he gives in to the union he may cause his close buddy Barak to lose the presidential election. It's a good thing it works both ways. Sympathetic to any of those on the picket line? Take Chicago public schools private and fire ALL the teachers. Good or bad. The good ones will be rehired. It is better to have a good teacher teaching and keeping discipline to 32 kids than to have one bad teacher teaching 18. While children across the country have returned to school for another year, approximately 400,000 students in Chicago have been forced out of the classroom for four days -- and counting -- as a result of a union-boss-ordered teacher strike in the country's third largest school district. The strike has forced parents and guardians to scramble to find adequate supervision for their children by taking unscheduled time out of work or making last-minute arrangements with relatives, churches, or daycare centers -- if they're lucky. And if the union power brokers' strong-armed tactics succeed, it's not just today's children who will suffer. Union bosses reportedly ordered the strike not primarily over salaries, but to protest modest reforms to make bad teachers more accountable to parents and principals. Imagine what the union bosses would do if their iron-clad grip on schools were truly in jeopardy. Of course, school-age children in Chicago have long suffered as a result of the Chicago Teachers Union hierarchy's iron grip on city and state politics. Even 25 years after U.S. Secretary of Education Bill Bennett named the Chicago public school system the worst in the country, reading scores for elementary and middle school students haven't budged. 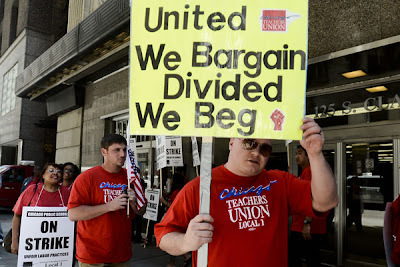 The strike comes at a time when local budget problems have driven some cities and towns to bankruptcy.That's why reform-minded legislators and governors across the country are looking to reign in union bosses' monopoly bargaining powers that corrupt our politics. And make no mistake, this strike is enabled by the teacher union hierarchy's forced unionism powers. By extracting forced fees from teachers and funneling that cash into city and state politics, teacher union bosses will threaten to withhold their massive electioneering warchest from politicians who would stand up to them. It's no wonder the Chicago Democrat political machine has long worked hand-in-hand with union bosses. If Chicago and Illinois elected officials ever want to pass meaningful education reform or restore fiscal sanity to their budgets, they ought to take a long, hard look at the corrupting effects of monopoly bargaining. Reform will only be possible by breaking the teacher union hierarchy's special privileges that empower them to corrupt our politics and crush local and state budgets. First, teachers -- and other civil servants -- should have Right to Work protections.A Right to Work law would protect teachers who don't want to abandon their students and don't support the teacher union hierarchy's radical political agenda. Second, the government-sector monopoly bargaining powers that drive this madness ought to be curtailed. Just like in Wisconsin -- where teacher union militants staged a "sick-out" to protest these very reforms. We're seeing again in Illinois what happens when the union tyrants are in charge. It's time to fight back.I hope you'll chip in with a contribution of $10 or more to help these efforts. Our future is at stake, and we must take a stand against the union moguls protecting their power at the expense of our children. P.S. The National Right to Work Committee relies on your voluntary contributions to fund its programs. Please chip in with a contribution of $10 or more today. The National Right to Work Committee is a nonprofit, nonpartisan, single-purpose citizens' organization dedicated to combating compulsory unionism through an aggressive program designed to mobilize public opposition to compulsory unionism and, at the same time, enlist public support for Right to Work legislation. The Committee's mailing address is 8001 Braddock Road, Springfield, Virginia 22160. The Committee can be contacted toll-free at 1-800-325-7892. Today, around 10 o'clock, 13 of us retirees were playing tennis on the clay courts at Glen Oak Park. I noticed some smoke arising about three blocks fro us off Prospect. Soon, we heard sirens coming from the far north and south. No less than 6 city official vehicles appeared on the scene, police cars, fire trucks of different kinds, and ambulances. Before 80% of the vehicles passed us, no smoke was arising and all these official vehicles, except the ambulance (2)? were leaving with sirens again blaring as they returned to their respect beats. Tonight, I watched the 6 o'clock WMBD TV News and not a mention was made of the severe danger residents of our community must have endured. The JS News reported one woman suffered minor injuries and her dog died. Far from the first time I have noticed this apparent overkill. Hmmm. Attend the Tea Party Unity 2012 Rally in Tampa Without Credentials?? Yes. I did attend the Tea Party Unity 2012 Rally in Tampa without the proper credentials. And I also become part of the staff at the Theater at Liberty Plaza. How did I do it? I owe it all to my daughter Nancy Cripe and her husband who designed for me an unusual cap which you may be tired of seeing, but the cap worked miracles. When I indicated I had no credentials to attend the Tea Party Unity 2012 event, held at River Church, north of Tampa near Brandon, a Senator from South or North Carolina told a member of his staff to put an armband on me and beckoned me to follow his entourage. I was able to see and hear Michelle Bachmann, Herman Cain, a talented Hispanic Senator from Utah and a half dozen other governors, senators, etc. The crowd was estimated to be around 3,000. The event had heavy security provided mostly by members of the church. As I mentioned before, so did the Convention and the Theater at Liberty Plaza. I was fortunate to park close in at the same location each day for 10 bucks a day. When I attempted to enter the Liberty Plaza Theater, I was again denied admission. As I was standing around with the crowd waiting to enter, people who had credentials, i felt a tap on my shoulder. It was a tall younger Hispanic and he said "follow me, you are the kind of person who should be attending these events." Not sure what was happening, I followed him through the check points and was now inside. He said if you come back tomorrow, I will be here. Just ask for Jose. Next day I was back at 9 A.M. So was Jose. This time he introduced me to the lady in the red hat whose picture is shown (BELOW) with myself and members of the Florida National Guard. She was head of Liberty Plaza staff. I was asked to become part of staff and help them with security checks, etc. She gave me a temporary staff identification and next day I was wearing a Staff shirt. Between scanning people for credentials and helping in other ways, I was able to see parts of all venues conducted in two adjoin large tents. Free breakfast, lunch and dinner was provided by several sponsored for all visitors and staff. Later, I found out that Jose, in plain clothes, was in charge of security. Unfortunately, my picture of him did not turn out. But what a smart, common sense person who I owe more than I can ever repay. Did I see the Convention? By the time I drove the 27 miles back to Largo, where many of the Republicans were staying, I would fall asleep before 11 A.M. But I saw most of it on C-Span, a station that did a great job of filming and narrating this, for me, once in a lifetime experience. Thanks, Nancy and Jose and all others who took an interest in an old man from Peoria. As to the hurricane, it only set the Convention back one day. My heartfelt feeling go to those farther west and north that were again ravished by the peculiarities and violence of mother nature. All in all, an unforgettable trip. Will the Republicans win the Presidency and the Senate? 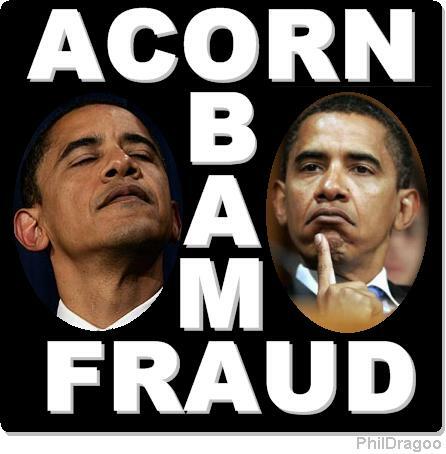 Depends on how many lies coming from Obama and Company that the gullible American public will believe. While talking to people at this venue, three noted that I was from Peoria, Il. 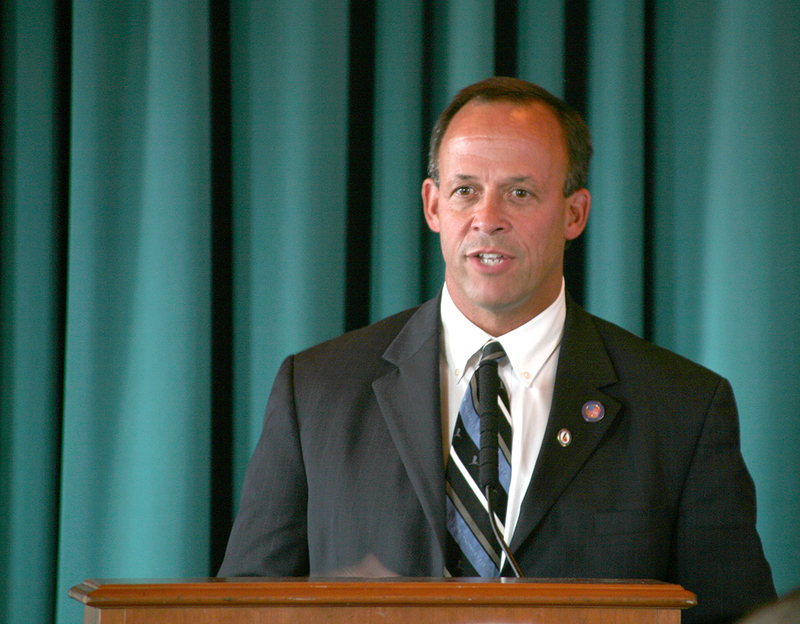 In the course of conversation, one asked if I knew Mayor Jim Ardis. When I said I did and knew him quite well, he stated that he had just met with the Mayor the day before. While I was talking to the other gentlemen, the one who said he had just met with Ardis, text-emailed Jim and asked Jim if he knew me. He showed me part of what Jim said, "Wow, Merle is in Tampa". He said the rest of what Jim said was 'complimentary'. I may have gotten my people mixed up, yes. I talked to more than 100 people, I believe his name was Richard R. Boykin with the law firm of Barnes and Thronburg with offices in Chicago and D.C.
Another interesting person attracted by my cap, was Dr. Robert C. Atkinson, President of The Information Technology and Innovation Foundation out of D.C.
His group is a non-partisan think tank to formulate and promote. To better describe what they do, I found several pages about their activities on the Internet. These two pictures were taken inside Liberty Plaza in Tampa. I promised Peter T. Bartlett, Director Total Cost Ownership out of Connersville, IN, that I would plug this new hot vehicle being developed by Carbon Motors Corporation. According to Mr. Bartlett this line or vehicle is aproximately 3 years away from market. Intended to revolutionize the vehicle market especially for security purposes. Hope I'm around when it is introduced. Probably shown at Charlote also. Thats the game when possibly looking for subsidies? This picture is of a good looking polka music group called the Swinging Bavarians. 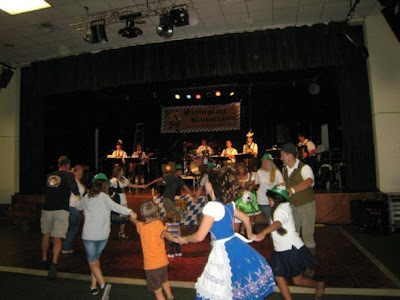 The band is composed of all Schonfeldt close relatives like Bill and his wife Mary, their children and their husbands. 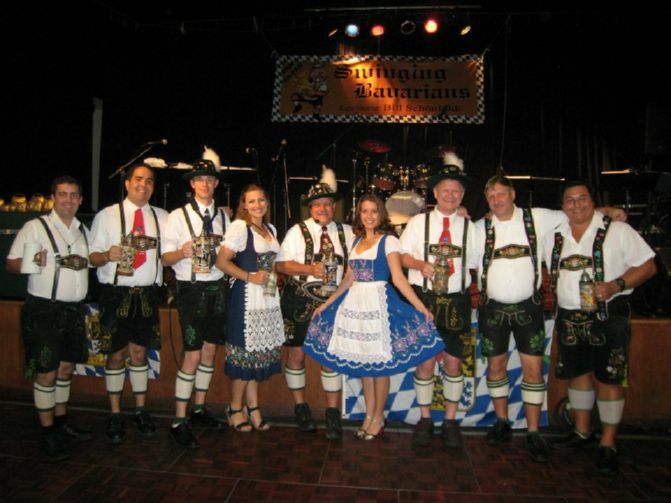 They advertise as Authentic German Music for all Occasions and can be contacted at 352-624-3033. The Swinging Bavarians is a German Bavarian band based in Central Florida that perform authentic and traditional Bavarian attire known as, ‘Lederhosen (that’s right, leather pants!) and Dirndls’. But, it doesn’t stop there! The Swinging Bavarians come complete with ‘Miesbacher hats and feathers’, ‘Wadl Strümpf’ (2 piece socks) and those beautifully decorated beer steins! In fact, their entire wardrobe has been imported from Germany and Austria. Bill Schoenfeldt, the leader of the band, was also imported, born in Nürnberg, Germany in the state of Bayern (Bavaria). He started the group with his brothers and close family friends -- and now the band has grown to include his three adult children. 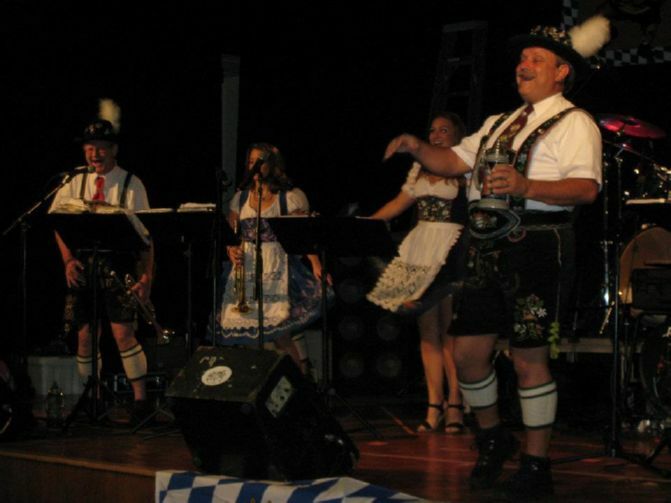 The Swinging Bavarians play all the favorite and traditional songs of the Oktoberfest season as well as a wide variety of musical styles for all audiences to enjoy! I had three requests to dance the polka, one by a pretty young lobbyist from D.C., but being in my tennis shoes and memories of the last time I was enticed to the dance floor. It took me two months to repair my strained hip. Great time and great people. A Victory Center in support of Governor Romney and other Republican candidates is open in Peoria. I will be visiting the Center, in the Peoria County Republican Headquarters, 8835 N. Knoxville in Peoria on Thursday, September 20, 2012 from 10:30-11:30 AM. Our Romney/Ryan supporters in the area will be working out of this Victory Center and others across the state. This is a good opportunity to learn more about Victory Centers and the importance of volunteering to help propel the local, congressional and Mitt Romney/Paul Ryan campaigns to victory this Fall. I look forward to seeing you on Thursday in our support of Mitt Romney for President and Paul Ryan for Vice President. This picture is of the Chairman of SOFA, Ryan Zinke from Montana, and the lady with him who liked my cap and wanted to have her picture taken after she took a picture of me. I didn't learn till later that Senator Zinke was a State Senator and a former commander of-Navy SEAL Team 6. When I looked him up on the Internet, I found 27,600 references which included the term SOFA. He is one of many people concerned about Obamas release of information that has given vital information to our enemies and endangered the lives of so many people working to keep America secure. Learn more about this battle to save this country from the automated mouth and actions of our current president. This is undignified and potentially risky behavior, letting the President of the United States get a bear hug from a weight-lifter. Can anybody just go up to the POTUS and practice wrestling moves on him? Where does this end? 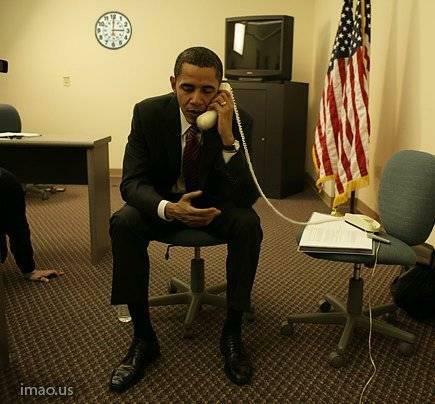 What a poor image to be seen around the world! Let's protect our President of the United States, whether we like him or not. I suggest we not allow pizzeria guys, or anybody else for that matter, to pick up the President and toss him around like a toy. While some business owner may think it's a good publicity stunt, I fear for the safety and well being of our elected officials. 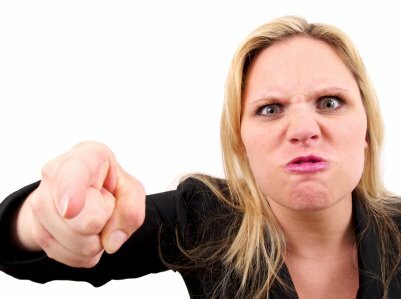 If anybody can just go up to a public servant and grab them, a malevolent person may someday take advantage of this over-familiarity and try to do harm. UPDATE: Presidential "Bear Hug" Was a Serious Security Breach -- not a "fun" moment. Like I said before, he's lucky he didn't get a bullet right between the eyes. POTUS is not a toy anybody can toss around due to a sudden urge to get physical. -- MEDIAITE "Pizza Shop Owner Who Bear Hugged Obama"
This pizzeria owner is lucky he didn't get a bullet right between the eyes.